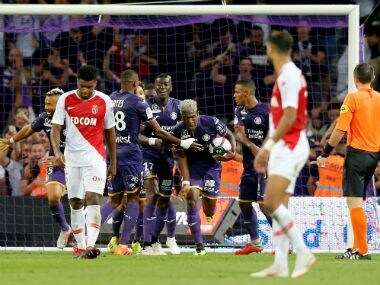 Paris: Monaco's dreadful start to the Ligue 1 season continued on Saturday as Aaron Leya Iseka's late goal grabbed Toulouse a 1-1 draw. After a 3-1 win at Nantes in their opener, Leonardo Jardim's principality outfit have now gone four league matches without a win and sit 15th in the early table on just five points. 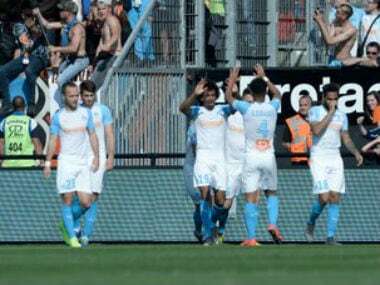 With captain Radamel Falcao out with illness and the Colombian's fellow attackers Stevan Jovetic, Rony Lopes and Aleksandr Golovin all injured, Monaco started with 18-year-old Moussa Sylla up front at the Stadium de Toulouse. "The players have given the maximum," said Jardim. "Absences? I don't complain about the absences. We are here to help the youngsters progress." Monaco will now be hoping that their big guns can return in time for Tuesday's Champions League opener against Atletico Madrid at the Stade Louis II. "For Tuesday against Atletico Madrid we'll need to keep this attitude and this behaviour, but be better technically," Portuguese coach Jardim added. Earlier in the day, Ferland Mendy's late equaliser salvaged Lyon a 2-2 draw at nine-man Caen as they also failed to improve on their own stuttering start to the campaign. "I am more than disappointed... I am very disappointed, very angry," said Lyon coach Bruno Genesio. "We managed to lead at half-time, which wasn't a miracle, but wasn't far off, but we weren't able to further raise our level in the second half." Genesio's men took the lead before half-time as Caen goalkeeper Brice Samba allowed a Nabil Fekir free-kick to sail into the middle of his net. 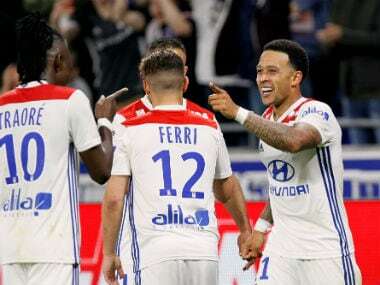 Caen continued to put Lyon under pressure despite their numerical disadvantage, and they forged ahead 17 minutes from time as Prince Oniangue nodded in Faycal Fajr's free-kick. Full-back Mendy cut inside to curl home another effort that Samba should have saved in the 88th minute to ensure that Lyon at least took a point from the Stade Michel d'Ornano. Caen found themselves down to nine in the dying stages as defender Baissama Sankoh was red-carded for head-butting former Manchester United right-back Rafael, but they held on to extend their unbeaten run to four matches. Elsewhere, Lille moved up to second in the table as a hat-trick from Nicolas Pepe, including two penalties, helped them win 3-2 at Amiens. 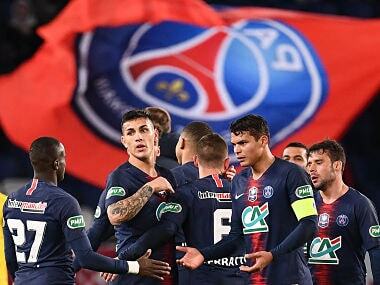 But they are still five points adrift of reigning champions Paris Saint-Germain, who warmed up for Tuesday's Champions League clash with Liverpool at Anfield by seeing off Saint-Etienne 4-0 on Friday.